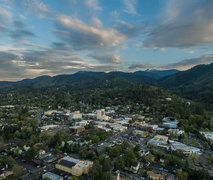 (PRLEAP.COM) Ashland, OR - May 8, 2018 – Massif, a world leader in flame resistant apparel for the U.S. Military is pleased to announce the continued growth of its team dedicated to supporting its amazing customers. Over the course of the last year, Massif has added the following positions: Marketing Communications Manager, Technical Sales-Field Testing Manager, Assistant Buyer-Fabric, and Quality Manager. Most recently, two more Military Sales Representatives joined the team as well. Adding to their already strong sales team, Massif hired Tyler Boeddeker whose background in US Navy aviation as a Naval Aircrewman – Helicopter/Search and Rescue fits perfectly into Massif's commitment to the USN community. Also joining the team is Garrett Podesta whose background in DOD and protective equipment sales through key channels such as the AbilityOne® Base Service Centers is an integral part of supporting the USAF community. "Our commitment to advanced fabrics and designs lasting mission after mission, has given us the privilege of protecting millions of men and women working in the world's most challenging environments. Bringing Tyler and Garrett on board allows us the opportunity to better service our growing customer base and their ever-evolving needs. Their skillsets and experience complement and strengthen our sales team moving forward and we're excited to have them on Team Massif," said Darci Knobel, VP of Customer Experience. This growth in the Massif Team continues to drive demand for added resources and they are now filling openings for the following: Apparel Technical Designer, Product Developer, Patternmaker, Sales Support Specialist, Planner/Buyer, and Shipping/Receiving Assistant. Noelle Christensen, VP/GM of Massif explains the reason behind the recent hiring surge. "Since 2014, we've expanded our Sales team from two to six positions. They've fueled sustainable growth and landed approvals for long-term development so we can continue to invest in innovation and the fulfillment teams needed to support the increased demand. We are thrilled to be in a growth phase with a skilled leadership group and high-performing team working toward a common goal." In August 2014, Massif joined the corporate family of Antex/Matchmaster, their longtime textile mill in Los Angeles, California and became a Woman Owned Small Business. Massif is proud to have joined their 40-year history of manufacturing high-quality textiles in the U.S. With vertical integration and the capacity for rapid innovation from fiber, to fabric, to the garment. Massif continues to improve their agility and enhance their technical resources for future growth. Today, with a growing team of forty plus, Massif is a world leader in supplying high-performance flame-resistant outdoor apparel.